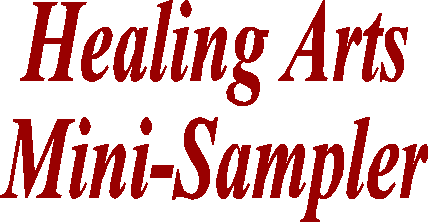 Healing Arts/Holistic Health Mini-Sampler, providing complementary healing modalities from qualified practitioners. Our Healing Arts Samplers are made available to you as a community service. We provide various healing modalities at a fraction of their original rates, giving you the opportunity to sample these different techniques to determine what will work best for you. 20 minute sessions for only $10. Next Fairs in 2007 - Next BHA Sampler - Saturday, Sept. 15 - The Grange, Franklin St. & 2nd Ave, Niwot - 11:30am-4pm. .......... Friday, Sept. 21, Special Healing Arts Sampler at the Bead Lounge, 320 Main Street, Longmont, 6pm to 9pm ......... Next PSYCHIC FAIR, Saturday, Oct. 20 at The Grange in Niwot from 11am to 5pm. Ask a question - get an answer. 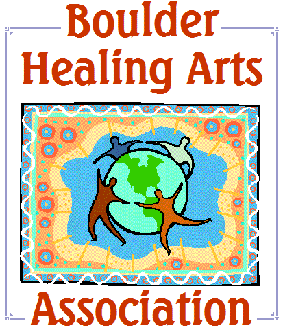 The Boulder Healing Arts Association is dedicated to bringing the healing energies of the universe to all those they come in contact with, be it through touch, earth sciences, or the esoteric arts. Donations tosupport BHA are Greatly Appreciated. They help us bring to you these wonderful events.